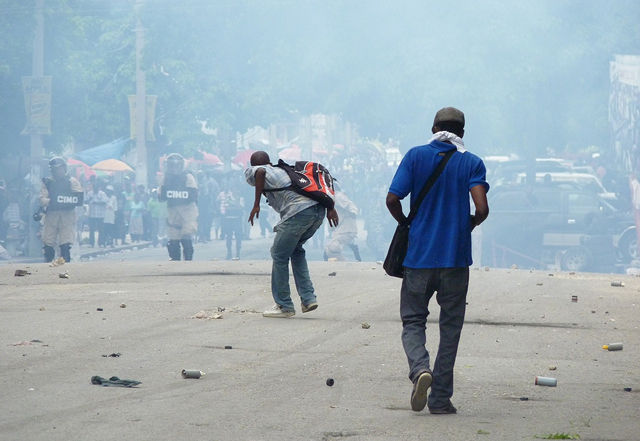 Several Haitian cities rose up under strong tension in December 2010. The sky was black with smoke. The burning tires, the deafening noise of protesters in a common refrain of anger raged on the streets. The results of the presidential contests had just been announced. The word was that the people were demanding their legitimate right to vote. This thunder also rumbled in some provincial towns. A community of foreign countries, which, due to their funding, lacked any respect and could not be bothered, entered peremptorily into the deepest bowels of the nation. These so-called Friends of Haiti expressed clearly and without diplomatic tact their hostility against the regime in place, which they accused of all the possible and conceivable ills of the degrading situation in which people lived, and the fraudulent nature of the elections. 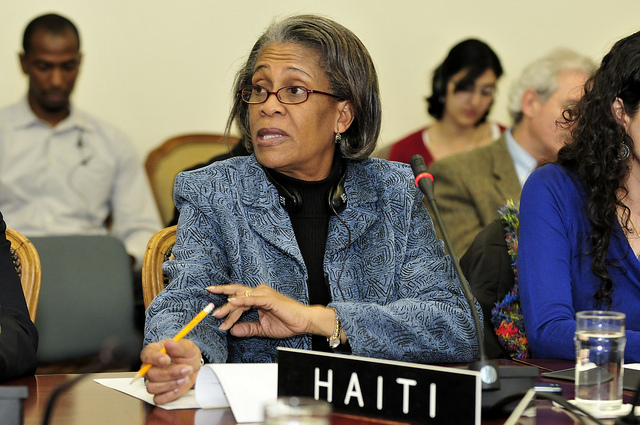 And this international community, did it not impose its own results on the Republic of Haiti? 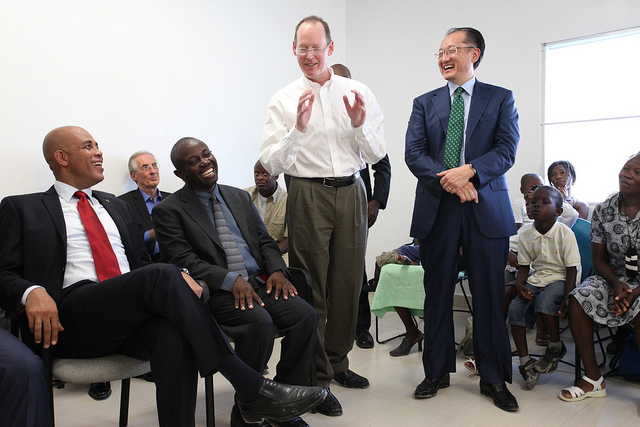 After this, we all saw the great benefits enjoyed by the high-level international staff in the country. For example, the illegal exploitation of the gold mines in the northeast region allowed us to see the meteoric speed at which various economic liberalization plans were effected. We all wondered where the reconstruction funds collected under the auspices of the Interim Haiti Recovery Commission (IHRC) had gone. And none of us ever got an answer. Five years later, the same characters are on the other side of the barricade. The political atmosphere is no longer that of an antipathy toward a regime in place. It is no longer the determination to oust a candidate from the government. Just the opposite! 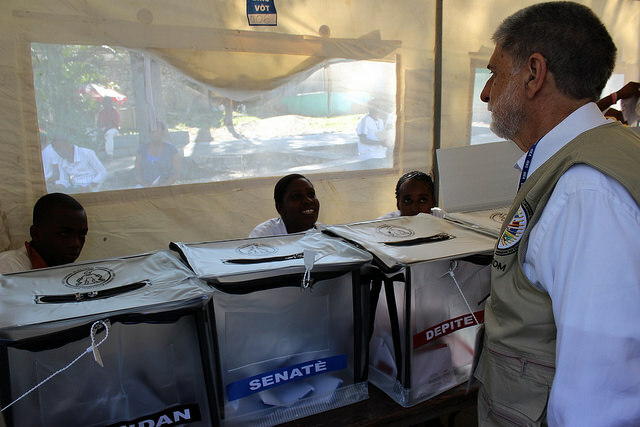 It is an international community that wants, for the supposed stabilization of political life and the well-being of the Haitian people, to make the population swallow, at all costs, the fraudulent elections to maintain an illegitimate regime. We find in 2016 an international community that wants by all means to maintain the status quo. The election process went well, it wants us to believe. All the troubles of August 9 and October 25, 2015 were the mere schizophrenic visions of a press eager for scoop and a sick population of “renmen zen” (gossips) and morons. But really, why are these countries so keen on these elections? Why do they want, at any price, the parliament, government, or president to issue from all these shenanigans? Some Arab countries recently experienced turmoil and changes of autocratic regimes. Tunisia, Egypt, and Iraq successively experienced drastic swings of political regime in virtually no time. I am speaking, of course, of the Arab Spring. It is clear, however, that the famous invisible hand, of which Adam Smith spoke in his various economic theories, is no longer invisible today. For many decades everybody has been seing it in every corner of political and economic life. The world has become aware of the roles of the imperialist powers from their interference in the internal politics of countries. Nowadays, to colonize people, one must first mentally colonize their leaders, those authorities who will hold the reins of power. Everything happens under the cover of a kind of imposed democracy. The new form of colonization of the people passes through their representatives. When resistance is in order, their version of democracy and political and economic stabilization is at the cost of political turmoil, economic crisis, and bloodshed under various forms and pretexts. Syria can attest to this. Why couldn’t Saudi Arabia, a powerful ally of the United States and the West, have its own Arab Spring? In reality, everything is a matter of self interest, manipulation of public opinion and exploitation of wealth. 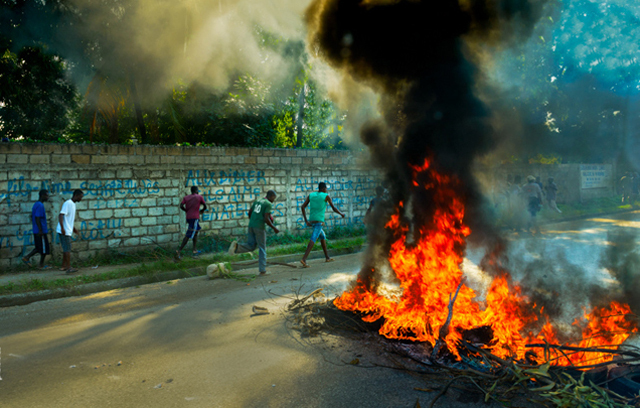 Since the 1980-1981 extermination of the creole pig, known as the “Pè APADEP” the imperialist powers have followed a strategy of systematic destruction of the Haitian economy. 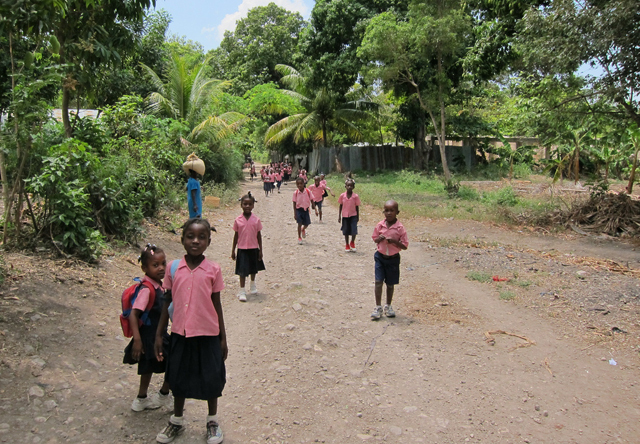 The US and Canada have gradually substituted their production of meat for that of Haiti. They have struck at the heart of the actual capacity of the domestic production, to weaken the peasantry, the main engine of the economy. Our small farmers have been those most affected by this slaughter of the pigs. In 1988, it was the turn of the rice sector to suffer the consequences of this economic policy of US and Canadian dominance. The productions of rice, milk, cereals and many other foods were literally dismantled by unfair competition, with a requirement for an excessive relaxation of trade barriers. 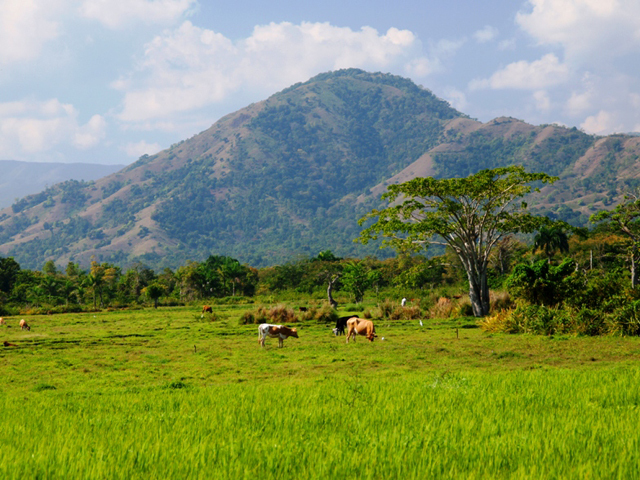 Farmers in the Artibonite Valley, the producers of creole rice, protested, fought, cried out against this dumping and predicted the imminent economic catastrophe, the destruction of the Haitian rice market and many other food products. Unfortunately the farmers have never had the support of Haiti’s elites. Intellectuals, universities, and civil society were too busy accounting for their purse, and they did not have their eyes sufficiently wide open to avoid the stampede on the country, concocted mainly by Uncle Sam’s most sordid misery and exploitation industry. 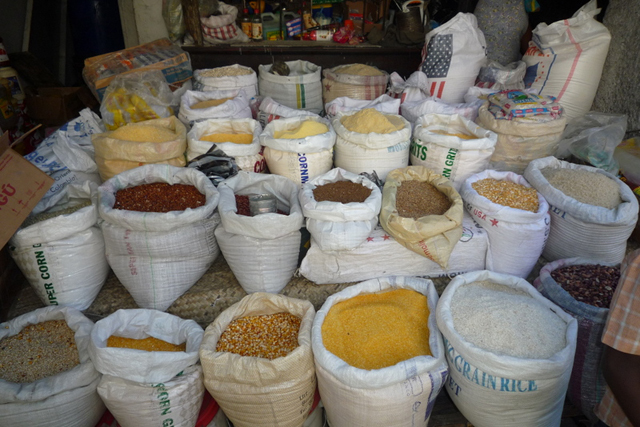 Today, we can barely find creole varieties of rice like Madan Gougous, Rèpsoro, and Riz Soleil. 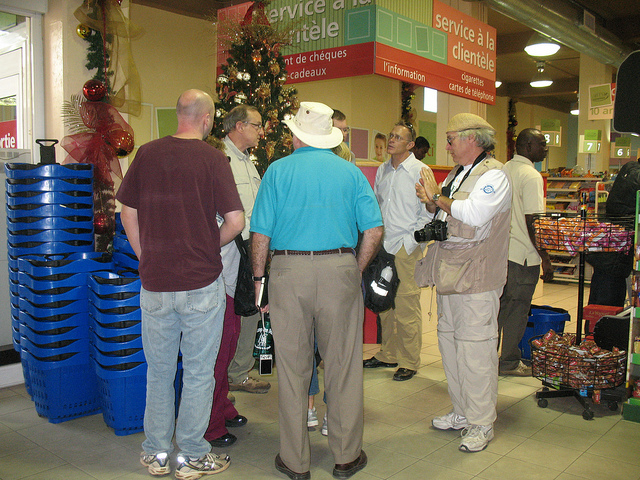 Under the pretext of a return to constitutional order, democracy, and economic reform, in 1995 a second opening of the Haitian market was imposed on various state structures of the Republic: the executive and parliament. We witnessed the free fall of almost all tariffs, the privatization of public enterprises, a program of voluntary departure of several public officials. Let us just say that this was a pure implementation of neoliberalism that exposed our economy to another economy that was more powerful and heavily subsidized. This was in compensation for the return from exile of a president who had been the victim of a coup fomented by these same imperialist powers. And we are still there today. A little history will not kill us; rather, it allows us to understand and see who are our real enemies and who cleared their path to our destruction. All this was only possible, however, because of the incompetence, carelessness, or cowardice of those who monopolized the highest offices in the nation: our presidents, our governments and legislators, who have never defended the republic. These kinds of men and women are needed to save the time, account, and expense that any direct war of occupation would cost. These people do not want to displease the white man. the white man is always a powerful ally, especially when they lack popular legitimacy. He is an asset for back-up power, calm and laisser faire when the clouds come to darken a political regime. Joseph Arthur Gobineau was right about one thing. All men are not created equal. There is actually a hierarchy in the human species. It does not rely simply on skin pigmentation or region of origin. Everything is mental. Everything lies within the human subconscious. Some people are born with a mental condition of inferiority, and they spend their lives crawling on their knees. They believe in their subconscious that there is a class of men that is better, smart, and infallible. They do not esteem those of their own race, their compatriots, or even their own person. This inferiority complex prevents constructive judgment. They are those that history does not want to expose, for fear of infecting positive thinking in contemporary minds, except to show the kinds of men and women to avoid in any high office of a country. On the other hand, there are those who refuse to believe that their destiny is tied to the existence of a chain of subservience, and that they should fear in their flesh the lash of the master. They are those who are born and live upright, stand and fight against all forms of adversity, who do not believe in the existence of a superior race, but that we are all people of flesh and blood. These are the Haitians who know that genius comes from this land as well as anywhere else, and that it is no coincidence that Toussaint L’Ouverture was able to dazzle a Napoleonic army, and it is natural that the genius of Dessalines defeated the French troops of Saint Domingue. The fact that Antenor Firmin became a major writer, by any world standard, proves that we are also worthy beings. 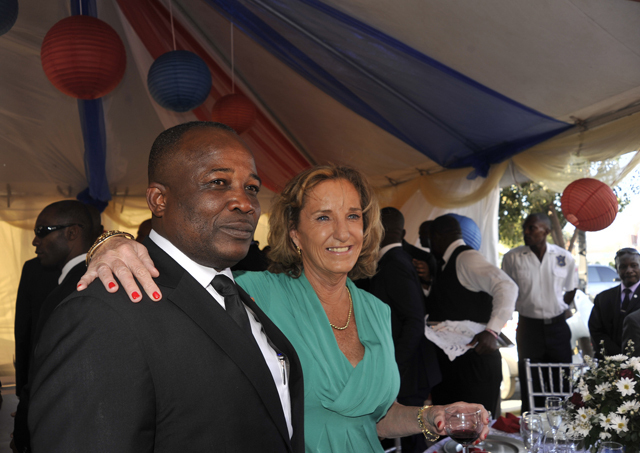 It is a shame that nowadays those who lead Haiti base all their hopes, all important decisions and directions of the republic on a community of foreign countries. Self-determination is nothing but an illusion. What happened to our dignity as a people? This community of countries, the so-called Friends of Haiti, say they understand the misery and problems of our people, even though our people have never seen the color of the support funds that these countries claim to have granted us. To the extent that the figures express a whopping support, the social and economic conditions of the people follow the opposite trend. We become more impoverished, generation after generation. Many of those who still decide to promote honesty have only poverty to pass on to their offspring. The country is becoming poorer and the people more miserable, to the point that today an estimated 78 percent live below the poverty line. And so goes the country. It is in the midst of this economic and social contrast that the international stabilization boasts of its achievements on Haitian soil. To survive, the people practice the policy of the ostrich and get stuck in a series of popular aphorisms like: “Pito nou lèd nou la” (Better ugly than gone). Or better yet: “Lespwa fè viv” (Hope brings life). In fact, what hope? What life? Why couldn’t we live in all beauty as a people, as a nation? We have seen very little in the last popular street protests about problems other than politics. Yet the crisis in Haiti is more social than political. On the sidelines of the political crisis is a major problem of social and economic class. It is not politics that creates the corrupt politicians, those butlers who destabilize republican institutions. We have issues of civic education, fueled by an unprecedented economic crisis. Politics appears to be the only way out for many. Some of those who were ruined in the last US subprime crisis came out well from their slump while the duped people were left to their daily lives of disarray. And the gap is increasingly widened between the people and the oligarchy. Observations of the recent months also express the bitterness from the lower middle class and poor. We see very little expression about the social divide that exists in the society. Unfortunately the state, in its regal comportment through his officials, no longer serves the function of redistributing wealth, but instead teams up with the oligarchy and the imperialists to pull what it can out of the game. This makes the rich much richer, the poor much poorer, the imperialists more satisfied with their policy of exploitation, and the country much more confrontational. 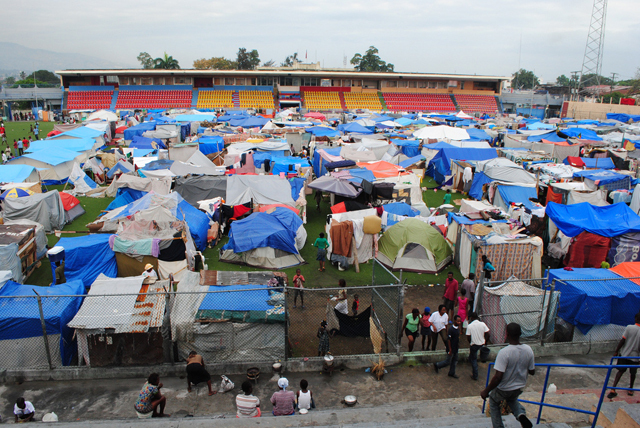 Victims of the earthquake of January 12, 2010 and a disastrous economic policy in the last five years, and to top it all, an arbitrary increase of the tax burden on its back, the Haitian middle class hardly exists anymore. We can say that today our country taxes poverty. So goes the Republic! 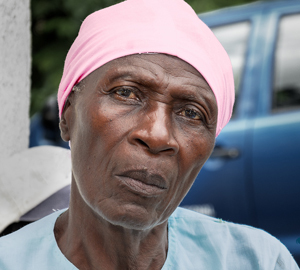 The statistics show how difficult the economy was for the Haitian people in 2015. These data are not satisfactory at all. In fact, they are catastrophic, especially considering the great social disparity in the distribution of wealth in the country, where 78 percent of the population live below the poverty line, and 58 percent are in extreme poverty. Only 20 percent of the population owned 63 percent of the country’s wealth, while the economy’s growth rate was 3.6 percent for 2015. Many have given up the ship, become fringes of our red-and-blue all over the world, fleeing poverty as the Jews fled Hitler’s fury. Those who still have the courage or have no other choice still fight for a better future. So goes their lives, and the fates of their children and grandchildren. Data for the table from IHSI | Photos one and two by Blue Skyz Studios; three from Ministerio das Relacoes Exteriores; four and eleven from the OAS; five by Nick Hobgood; six from BBC World Service; eight, nine, and ten by Jean-Jacques Augustin; twelve by James Emery; thirteen from Mediahacker; and fourteen by cplbasilisk.